DUBAI, Jun 18 2013 (IPS) - Environmental campaigners are urging the Angolan government to halt plans to mine diamonds inside a national reserve that is home to the world’s last wild population of a rare antelope, the Giant Sable. There are believed to be fewer than 100 purebred animals left and the species is listed as “critically endangered” on the Red List of the International Union for Conservation of Nature. In Angola, the Giant Sable’s natural habitat is Luando Reserve, which is situated in the northern province of Malange, where some 70 are thought to live wild. But this population is now under threat following the allocation of prospecting rights to a group of private Angolan diamond companies. “Legally, this should not have been allowed to happen. The law is very clear, mineral activity is not permitted within protected areas,” a spokesperson for the Kissama Foundation, an Angolan environmental NGO, which has led major conservation projects, including the restocking of large game into parks, told IPS. The spokesperson, who did not want to be named, said he was concerned for the physical impact that mining would have on the reserve. “This is going to put the Giant Sable population in great danger and we are very concerned that this has been permitted by the government. 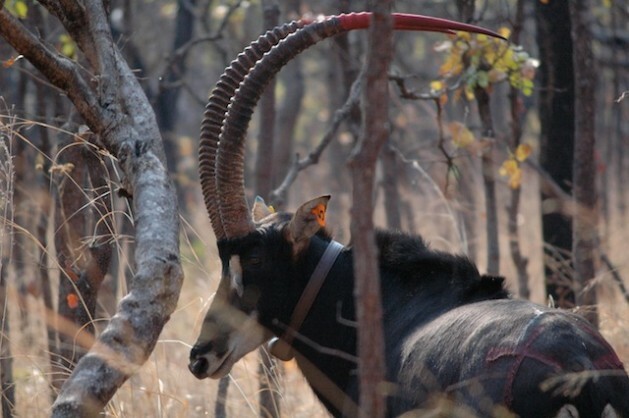 Decades of civil war, along with widespread poaching, have decimated the Giant Sable Antelope population. The Palanca Negra Gigante, as it is known in Portuguese, is Angola’s national symbol. Palancas Negras is the nickname of the southern African nation’s national soccer team, and the antelope’s long curved horn is pictured on the logo and fleet of the national airline, Transportes Aéreos Angolanos or TAAG. While significant efforts, through both private and government-sponsored schemes, have been made to preserve and promote breeding of the animals inside a section of Cangandala Park, a national park also in Malange Province, Luando Reserve remains their natural habitat. But 3,000 square km of the Capunda diamond mining concession falls nearly exclusively inside the Luando Reserve, straddling the provincial borders of Malange and Bie. According to Angola’s environmental law and mining code, mineral activity is not permitted inside protected areas such as national parks and reserves and all projects must undergo an environmental assessment impact to judge risks and suitability. He added that there was already uncontrolled poaching linked to mining activities along the Kwanza River. He said that the meat was being used to feed miners and workers. But despite this, in June 2012, former minister of geology, mining and industry Joaquim David signed off on “Project Capunda”, the details of which were published in the government’s legal gazette, the Diario da Republica. The companies listed behind the project – KCC Limitada, Yango Limitada and AM & BC Limitada – are all Angola-owned but hitherto unknown with no apparent record of prior involvement in the diamond sector. The country’s state-owned diamond firm, Endiama, which automatically gets paid equity in every diamond project, holds a 32 percent share in the deal. Although the Ministry of Environment failed to respond to requests for comment, both Endiama and the Ministry of Geology and Mines, tried to play down the situation. And in an email, Minister of Geology, Mining and Industry Francisco Manuel Monteiro de Queiroz, who replaced David in August 2012, told IPS that the ministry has been following this process with concern. “We are working with the Ministry of Environment, Endiama and the concessionary companies to correct the situation in terms of the environmental law and the mineral code. Brian Huntley, an internationally-respected South African conservationist, who has collaborated closely with the Angolan government and several United Nations agencies to develop national park strategies, welcomed the high-level response. He said that the ministries were engaging was extremely positive, but it was important that their words were followed by definitive actions. “The Giant Sable is on an absolutely critical threshold,” he told IPS. “They are on their last breath before extinction so it’s not going to take much to push them over the edge. It has been claimed locally that the owners of the companies granted the mining concession have close links to powerful figures from the ruling Movimento Popular de Libertação de Angola (MPLA), which has been in power since independence from Portugal in 1975, and that the ministries are too scared to challenge the deal. The rush to exploit mineral resources could spell environmental disaster for countries like Angola where weak institutions are regularly held hostage to personal interests that appear to be able to ride roughshod over legislation. As well as the world’s fifth-biggest diamond exporter, Angola is Africa’s second-largest crude oil producer behind Nigeria, and there are growing concerns about the impact the rigs – and their spills – are having on the country’s coastline and fish stocks. A culture of secrecy, however, dominates Angola’s research institutions and ministerial departments and little information is ever published. Private or overseas companies that are hired to carry out studies are not allowed to share their findings without governmental permission, which is seldom granted. Local communities who claim to have been affected by oil spills are typically given ad hoc cash payouts by the multi-national firms operating in the area and strongly discouraged from speaking to the media. Later this year, state oil company Sonangol is due to auction a number of new licences for onshore oil and gas exploration blocks, raising separate concerns about land contamination and habitat destruction. Seismic studies are already underway inside one national park near the capital Luanda, and foreign operators have been seen inside a desert park in the south of the country. Huntley stressed that it was a critical time for Angola in terms of its environmental management. “After a decade of peace and the rehabilitation of infrastructure there has been a surge in activity, particularly in the extractive industries sector,” he said. 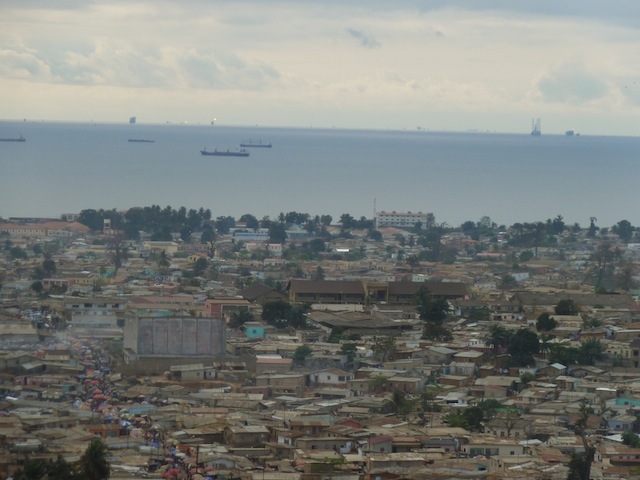 Angola’s 27-year civil war ended in 2002 and over the past decade the country has had one of the fastest-growing economies on the continent. Hunger and the loss of species are driven by the same greed. The few exploiting the earth for their own benefit.